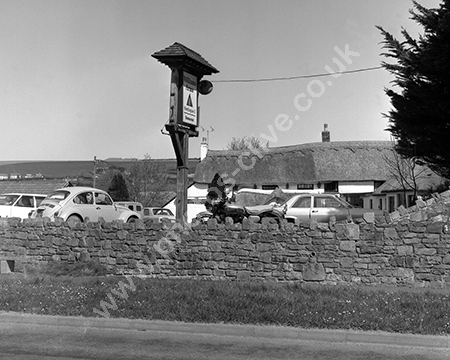 Photo shows the totem or post sign, car park and a motorbike of the day. For the full pub shot search this site or go to Alamy.com and search for ER6K4C. For commercial use of this photo, including use on another website, please visit Alamy.com and search for ER6K44. For a one-off print please see below.